means to accept, take in, or embrace and be fully accountable for it and, in essence, take action to reflect that acceptance of responsibility. Often times, however, we view “responsibility” as something that is imposed on us and enforced by the specter of negative consequences or by guilt. It is for that reason we felt it necessary to include “kuleana” which is a unique Hawaiian word that can mean “responsibility” on the surface, but goes much deeper in that it ties that sense of “being responsible” or “accountable” to oneʻs connectedness to the land on which they live and to the community in which they thrive — in other words, to their very identity and sense of place. In speaking of “responsibility” and “kuleana,” we felt it necessary t expand the scope of our identity as shimanchu to include voices from and discussions on the “homeland.” We are very fortunate to be joined by two members of a very dynamic organization called Okinawa Hands-On. Jun Morano Miyazato is one of the main coordinators for the organization and brings an especially unique perspective as a half-Filipino Uchinānchu. 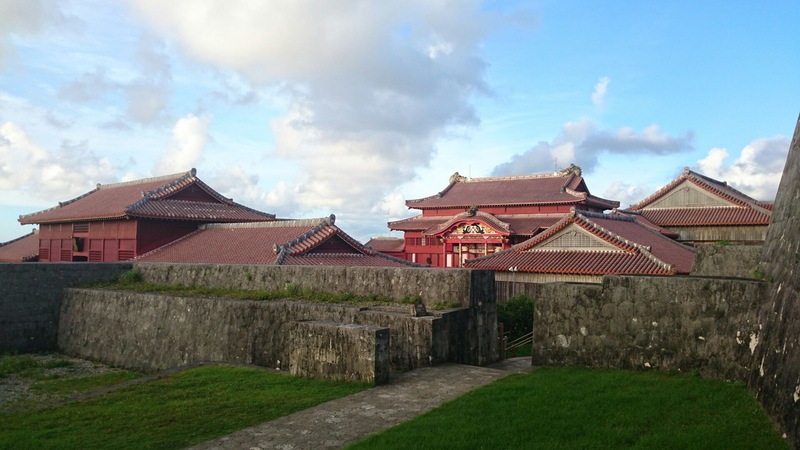 Ryubu Akamine is a first-year student at Okinawa International University and was a student participant in Hands-Onʻs programs before transitioning to a junior leader role last year. Both Jun and Ryubu are heavily involved with their organization’s language revitalization program and are particularly interested in the language and cultural revitalization efforts here in Hawaiʻi. We are especially thrilled to host Okinawan music icon Misako Kona and her new group, Unaigumi. Ms. Koja has been performing professionally since she was in grade school and is known not only for her unique voice but for some of the most powerful new Okinawan-language songs including her hit single ʻWarabigami.” Her recent, vocal stance against the construction of a new U.S> military facility in northern Okinawan has alienated her from many of her performing arts peers, but feeds her with a new sense of purpose and responsibility not just as a performer, but as a shimanchu. We are grateful for the opportunity to hear her speak and also for her groupʻs generosity in giving their time to perform in a special concert including the summit. In Uchināguchi, there is a phrase – mimi gusui – which literally means “healing for the ears,” but actually refers to sounds that enter the ears and nourish the soul. We hope that you will have much mimi gusui to fill your minds and your hearts this weekend. Kafūshi dēbiru. Eric Wada – Did you know you’re indigenous? Small Group Discussion 3: How will you take responsibility? Unaigumi is an Okinawan folk fusion group comprised of four women who are each veteran artists of traditional uta-sanshin. Led by Misako Kona, one of Okinawa’s most iconic female uta-sanshin artists, the group reunites three of the four original members of the Nenes after over twenty years. While steeped deeply in traditional Okinawan folk music, Unaigum’s sound is rounded out by their producer and keyboard player, Kazuya Sahara. In Uchināguchi, “Unai” means “sisters” and “kumi” is a play on words referring to both their unity as well as their soundʻs ability to fill and engulf the hearts of their listeners. Their first album, Unaijima, was released in January, 2015. Their latest single, Mirukuyugafū – undercooled, a song co-written/produced and recorded with Japanese music giant, Ryuichi Sakamoto, as a fundraising effort for the struggle against the building of a new U.S. military installation off the shores of Henoko in northern Okinawa. Okinawan Hands-On (OHO) is a non-profit, non-governmental organization dedicated to community development through various educational workshops and programs with an emphasis on personal engagement. The group was founded in 2002 as a platform for addressing social concerns by providing personal enrichment, professional development and community service. While Hands-On offers adult English-language classes, the organization has been excelling and growing steadily in its child and young-adult education programs, particularly their Shima Kutuba (Okinawa language) programs. The group also provides aid and awareness programs for elderly persons with dementia. Based in Okinawa City, OHO also has branches in Chatan and Urasoe. They are currently crowd-funding to raise money to produce an English-subtitled video documentary on Okinawan language revitalization.